This is a picture of my front yard. Every other house on my street has a tree down. I drove into the center of town yesterday and it appears that the entire city has experienced the same devastation. Like 600,000 other Kentuckians, my power is out. The electric company tells me that it will likely be two weeks before they get it back on. 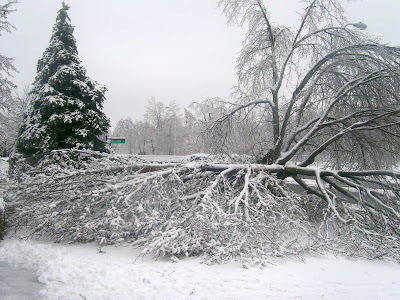 Several years ago, we were hit by a similar storm and at that time, my house was one of the last in town to get back their power.